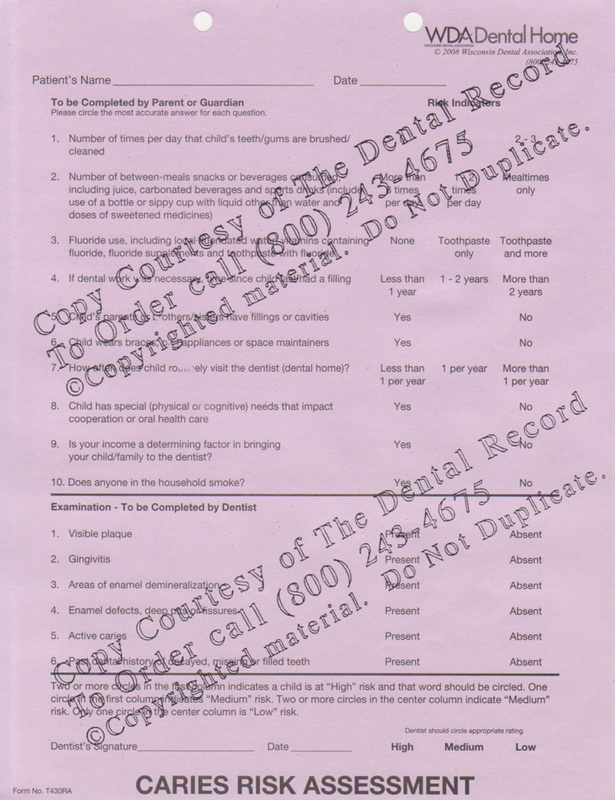 The Caries Risk Assessment form is completed partly by the parent and partly by the dentist to determine risk. 100 forms per tablet. The Caries Risk Assessment form is completed partly by the parent and partly by the dentist to determine risk. There are 100 single-sided forms per tablet.